Product information "Platform scale IPS-MW"
The IPS high-quality, digital platform scales were developed specifically for everyday use in industrial and commercial applications. Whether you need to weigh large or small parcels, components or bulky articles, you can weigh almost anything within the rated load without any problems, thanks to the detachable indicator. 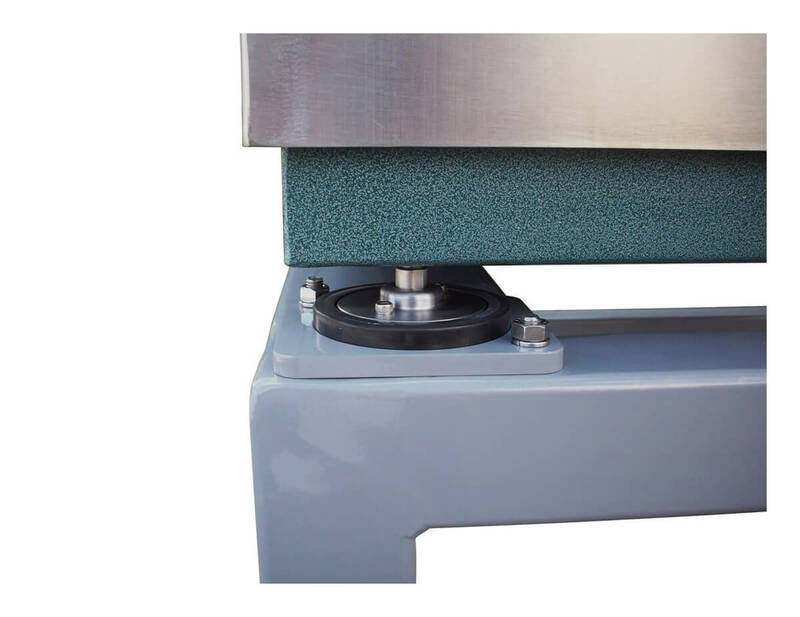 The combination of the weighing platform with the indicator MWI is intended for advanced weighing applications in verifiable and non-verifiable area. Due to the light construction and the optional available transport trolley, the platform scales can be used anywhere. The platform is made ​​of stainless steel with a sturdy substructure made of high quality aluminum die casting. The force is applied directly in a high quality strain gauge load cell . 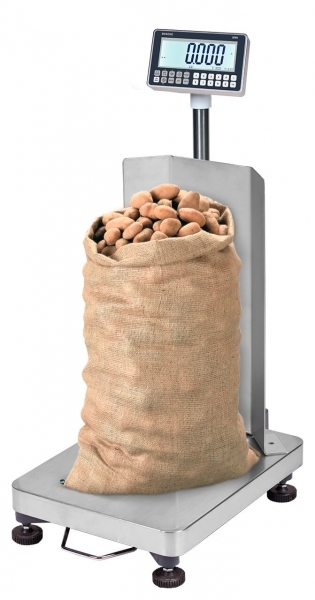 The display device MWI with large 60 mm display is responsible for the clear weight determination and summing the weighing results. The tare is executed over the entire measurement range. The weighing range [Max] of dual range scales are divided in 2 sections and start in a smaller weighing range with a more accurate readability [d]. By exceeding the first weighing range, the scale switches automatically to a bigger weighing range with a coarser readability. The platform scale is supplied as standard for network operation (mains plug included). The optional rechargeable battery allows a self-powered weighing. The weighing terminal is equipped as standard with an RS232 serial interface which allows a bidirectional connection to the printer, PC or remote display. So a custom designed, verifiable receipt printing with Alibi number, date & time will be printed. Also one of our signal lamps can be controlled via this RS 232 interface. These can visually facilitate quality control. 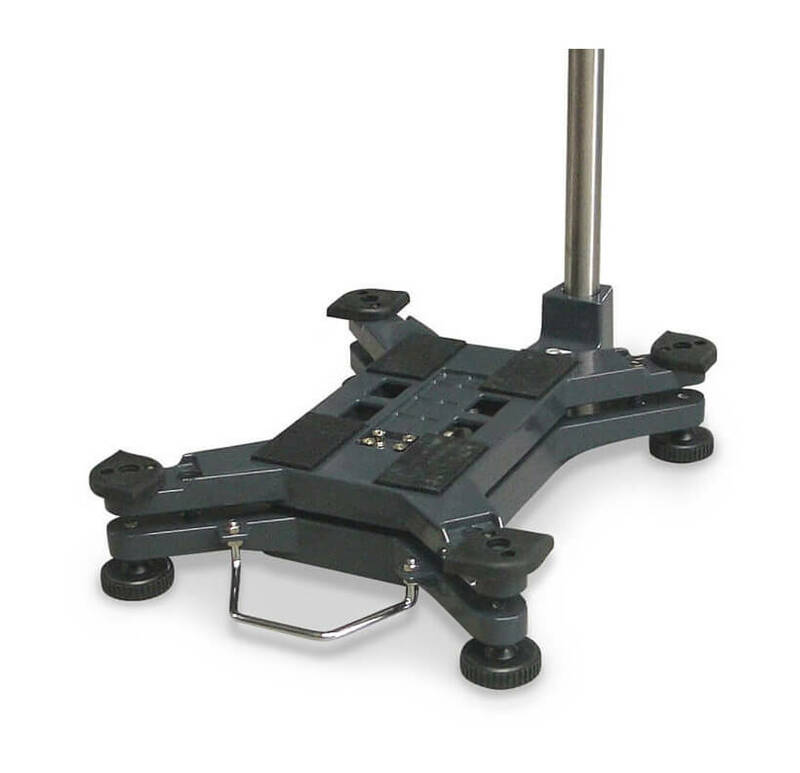 increased load capacity and stiffness extends the life of the platform scale . The scale platform is connected to a 1.8 m long cable with the display. The display unit comes with display stand. A desktop or wall mounting (with optional mounting bracket) is also possible. Platform size: 420 x 520 mm. We can also manufacture custom platform sizes upon request. Capacity: For loads of 30 kg / 60 kg / 150 kg as standard. Special scales with a different capacity or larger platforms are available upon request. A bag scales attachment and transport trolley are also available. 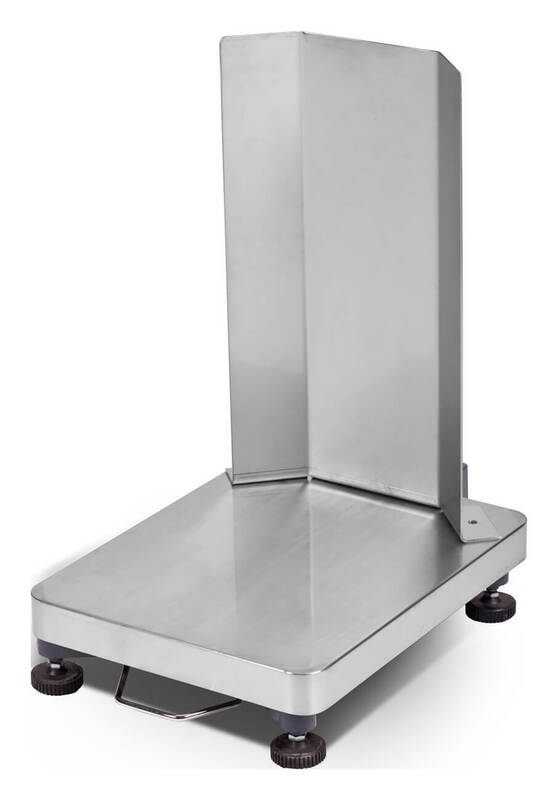 The platform scales of the BOSCHE IPS range are ideally suited for use in harsh industrial environments. The light-weight construction and optional transport trolley allow you to use the platform scales anywhere. The display is connected to the weighing platform with a 1.5 m cable and can be placed on the table top or attached to the 800 mm stand. DMS load cell integrated into frame allows for high-precision weighing. The platform scales are supplied for mains operation as standard (mains plug included). Related links to "Platform scale IPS-MW"
Our comment on "Platform scale IPS-MW"